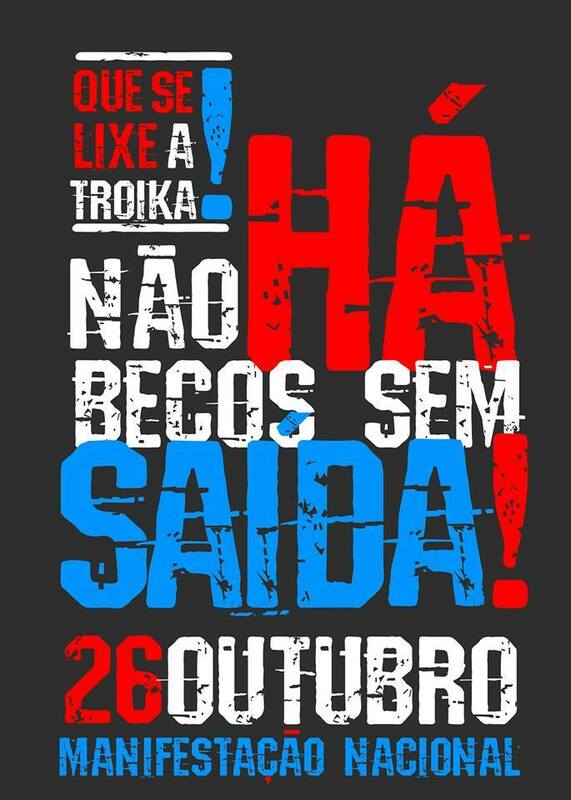 “There are no dead ends – Screw Troika!” Poster of the national demonstration called for October 26. At the time of publishing of this post, 5,866 people had said on Facebook that they were going to the protest in Lisbon; 14 cities have organized events. Subverting the discourse of austerity, a protest was held in Lisbon earlier this week to “thank” the International Monetary Fund, European Central Bank and European Commission for the ongoing measures to tackle the economic crisis in Portugal. 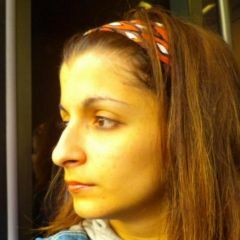 De forma a: 1. mostrar, usando uma linguagem clara e sem subterfúgios o que realmente a troika e o governo querem, 2. tornar clarinho como água o que já sabiamos, que só 2% dos portugueses acredita que a austeridade está a funcionar; e 3. divulgar a manifestação de dia 26 de Outubro, o grupo Que se Lixe a troika, organizou este protesto recorrendo à ironia e ao humor. Aiming at 1. showing, through a clear and direct language, what troika and the government really want; 2. making something we already knew crystal clear: that only 2% of the Portuguese believe austerity is working; and 3. spreading the word out about the protest called for October 26, the group Que se lixe a Troika (Screw Troika) organized this protest resorting to irony and humour. We came here to thank Troika, to thank austerity, I believe we must get poorer, because not everyone can have rights, isn't it? Check out the caption of the poster above for more information about the national protest called for October 26.